Calvin Harris was born in a country of ghosts, castles, lakes and bagpipes in 1984 and as a child chose the style of music that he still performs. During his career, Calvin released three records. Debut album I Created Disco which was born June 29, 2007 and absorbed in itself the sound of 80s, new wave, punk and dance electronics. Thanks in large part to this record, Harris received the King of electropop title, and the disc was acknowledged as gold and rocked in the top of different world charts. Also in 2007 Mr. Harris went on tour around the UK supporting Faithless and Groove Armada, then wrote and produced two songs for Kylie Minogue and worked with Sophie Ellis-Bextor. 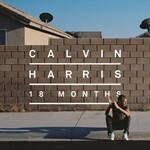 The progress was good, and two years later Calvin wrote and released his next album, Ready For The Weekend, supporting which he also started with a tour around Europe and the U.S. And now there is the third LP. What can we expect from a man like Calvin Harris? Naturally everyone is waiting for dance hits, clockwork rhythms, beautiful vocals and catchy melodies. We can hope for that, judging by the total number of guest artists invited. We are met here by such stars as Rihanna, Ellie Golding, Florence Welch and many others. Past experience of the musician and the current cast on the record are impressive and look promising. Beginning of the third Calvin Harris's LP does not start with a super-mega-hit, which has already filled television and radio charts, but with a short instrumental track called Green Valley. It is like a driver's locomotive horn that warns us in advance of that portion of hot hits that we are expecting to come. And in less than a couple of minutes we hear the first song of the album the heavyweight hit Bounce, performed in duet with Kelis, this track is already on the top places in Australian, Irish, Scottish and other world charts. The song is replaced by the notorious track named Feel So Close, here Calvin decided not to bother about vocals and took it over himself and, we should say, successfully, as his romantic voice is perfectly suited for such an incendiary, energetic and emotional music. This fire and explosive hit is neighboring with even greater monster ... and his name is We Found Love, a duet with Rihanna, the track of the past year but it still sounds fiery and fresh, and well, the voice of R&B diva is only an additional decoration for this song as it burns, blazes and sparkles with all the colors of the rainbow. At the same level, if not brighter, shines the track I Need Your Love, charged by synth-rhythms of Calvin Harris and framed with extravagant voice of Ellie Golding. Let's also mention the amazing and fabulous Florence Welch's voice in the Sweet Nothing and many other tracks that create a bright and dynamic mood of the album. To say that the new 18 Months album packed to its capacity with hits is to say nothing. Statistically average number of hits on the album is approximately equal to the number of tracks and is around 15. It is an amazing and rare phenomenon, if we take into account the recently released albums by other artists. To be fair enough, one should notice that Calvin's voice appears not on all the tracks and in most cases vocals are not his. But the King of electropop follows one golden rule, which other contemporary musicians should follow – if you cannot sing, do not sing. And in terms of poet and musician Calvin looks much better than the singer. His vocals do not make the listener nervous, but does not distinguish him among the crowd, as opposed to his music. Therefore it is better to give the case to the mercy of the professionals so Mr. Harris does. As a result the album only looks better.18 Months can be compared with the locomotive that being at the distance warns you about its approach, and then rattles with its heavy, filled with energy, life and dynamics cars, each of them is unique and has its own style and its own character. Well, at the head of the 15-car locomotive with very good dance bonuses in the amount of 8 is a talented locomotive driver Calvin Harris, who gladly shares his works with the rest of the world, making everybody forget for a moment about his or her troubles and surrender to the power of incendiary rhythms, catchy melodies and exciting lyrics.